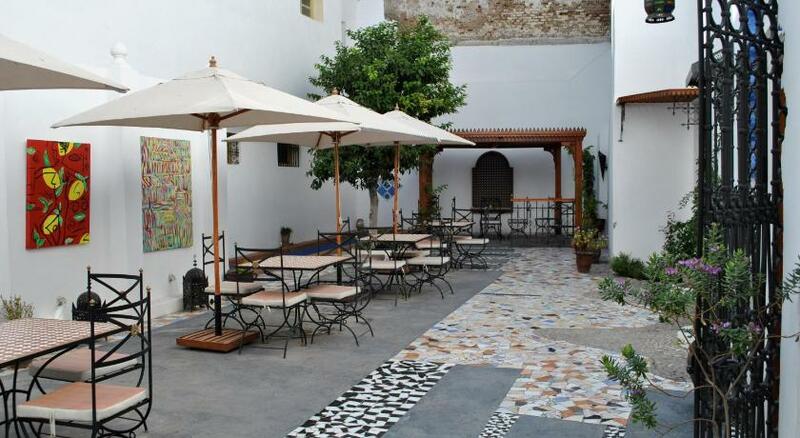 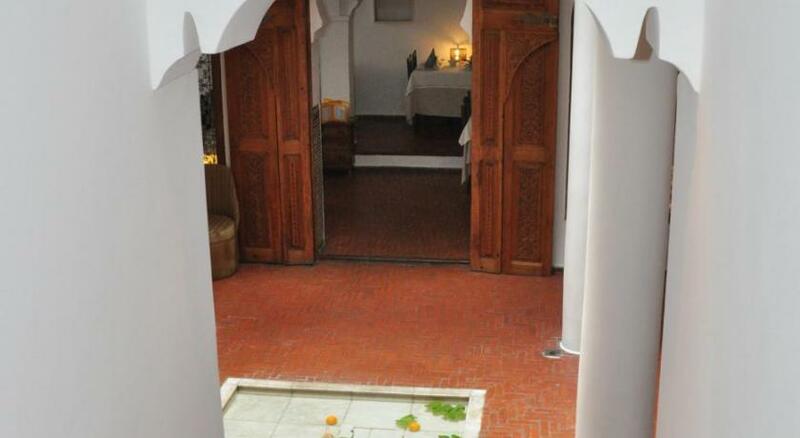 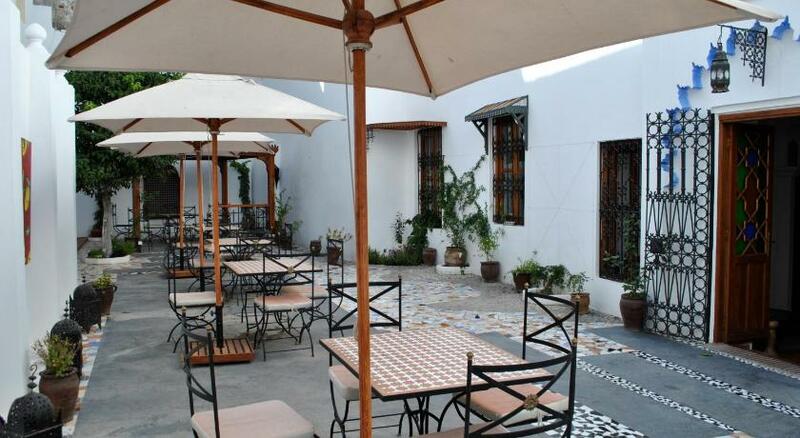 The inner courtyard of the Blanco Riad dates back to the 18th century. 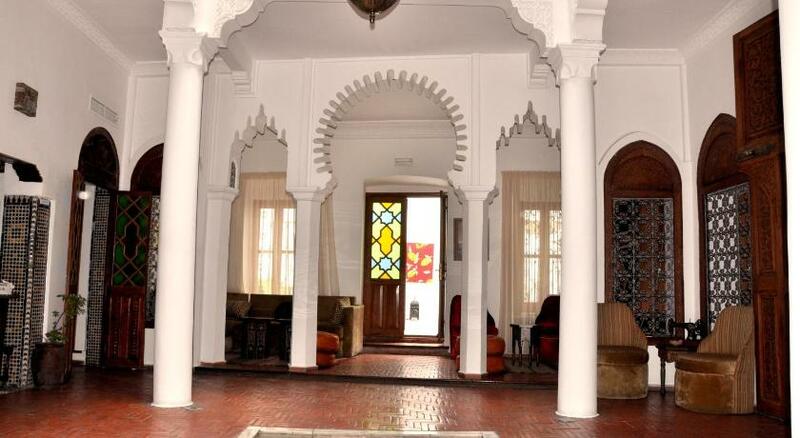 The columns and arches support a balcony which gives access to the bedrooms. 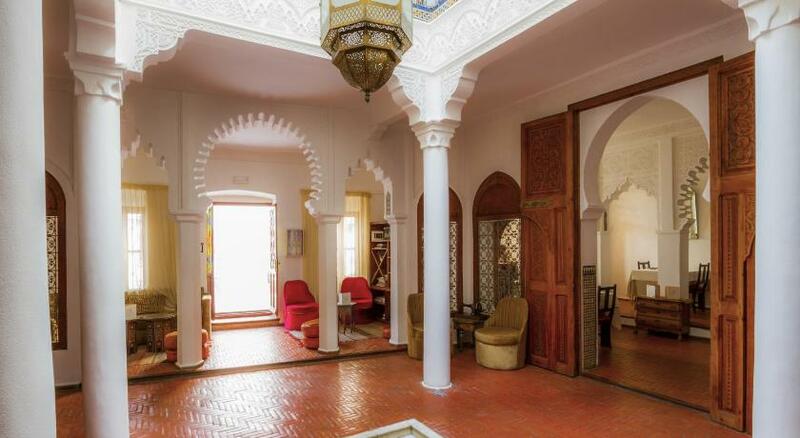 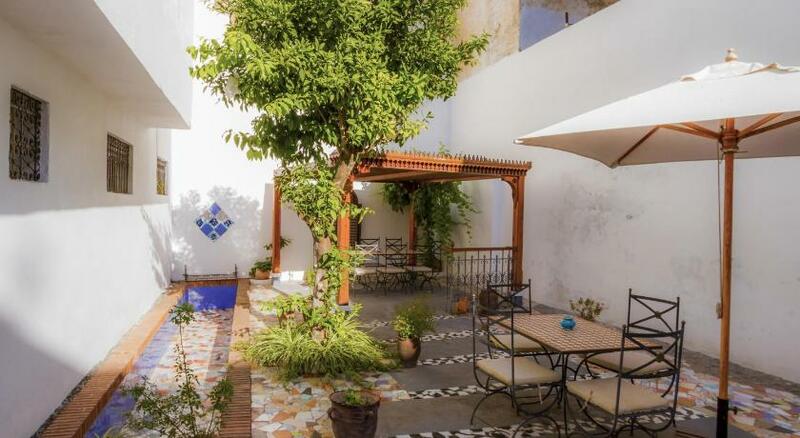 The garden is full of the sounds of water from the fountain; the rooftop terrace affords views of the Medina and the Casbah. 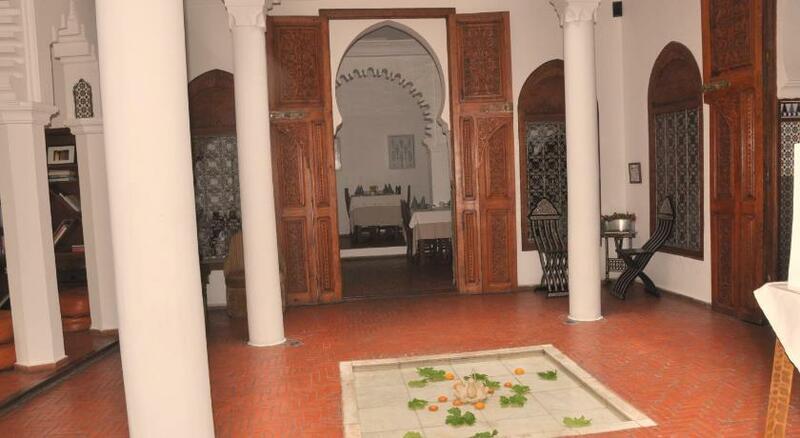 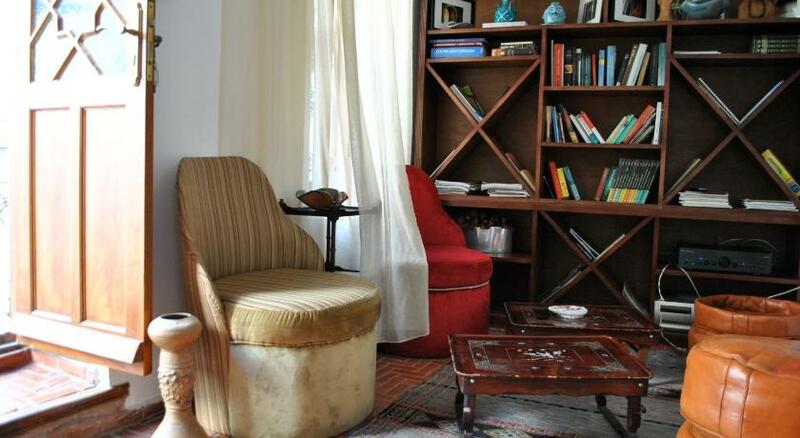 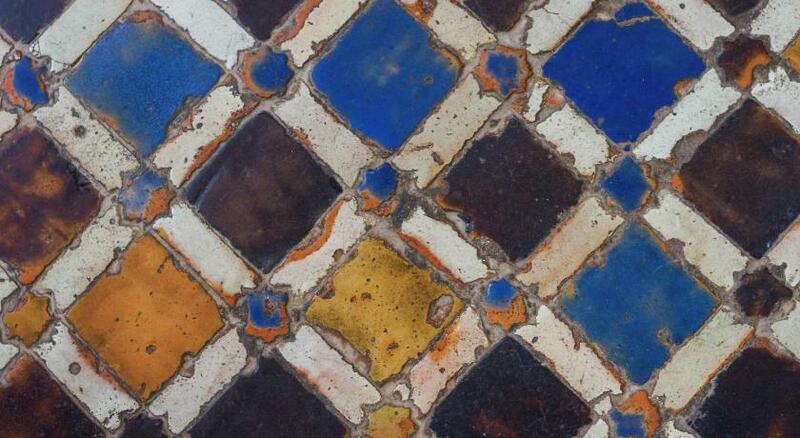 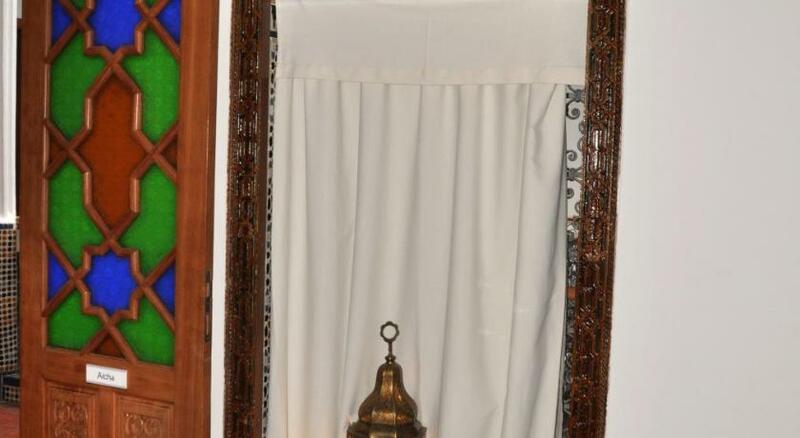 In 1860 it was occupied by the Spanish Consulate and during the times of the Protectorate was the home of the Bacha. 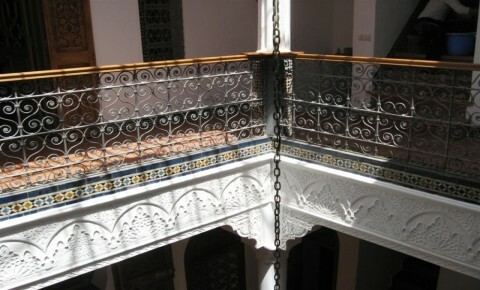 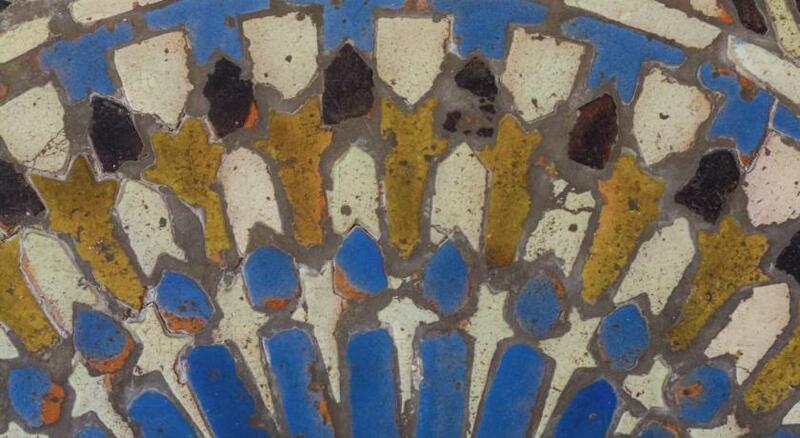 It was later inhabited by the Ben Hassain family. 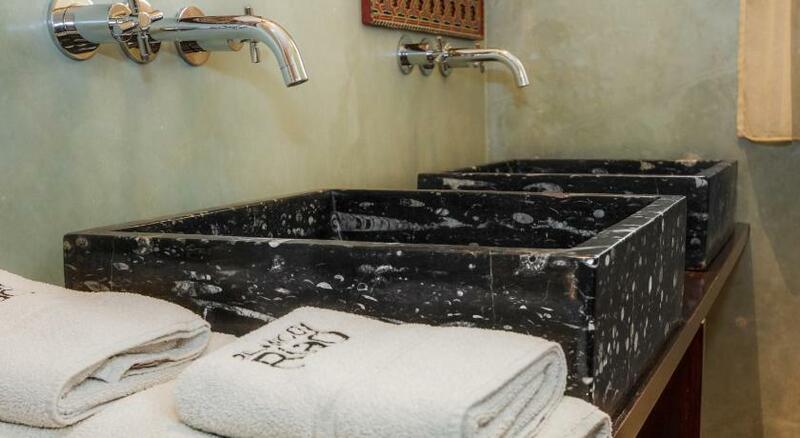 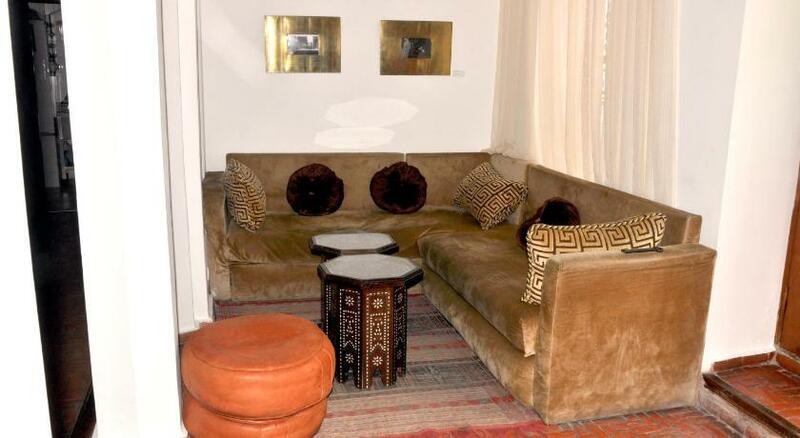 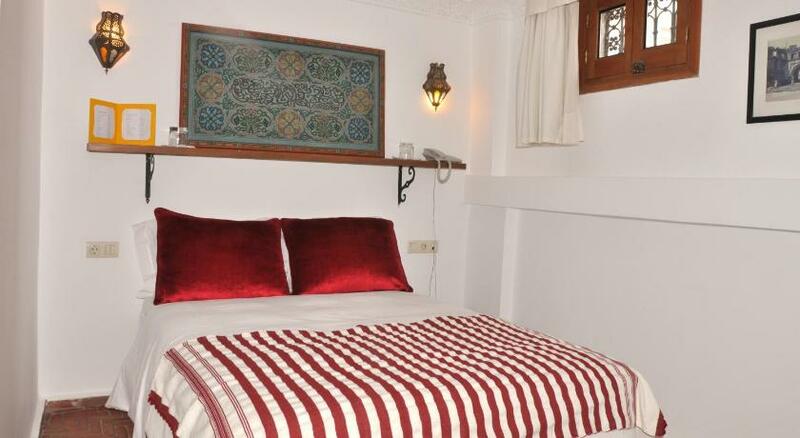 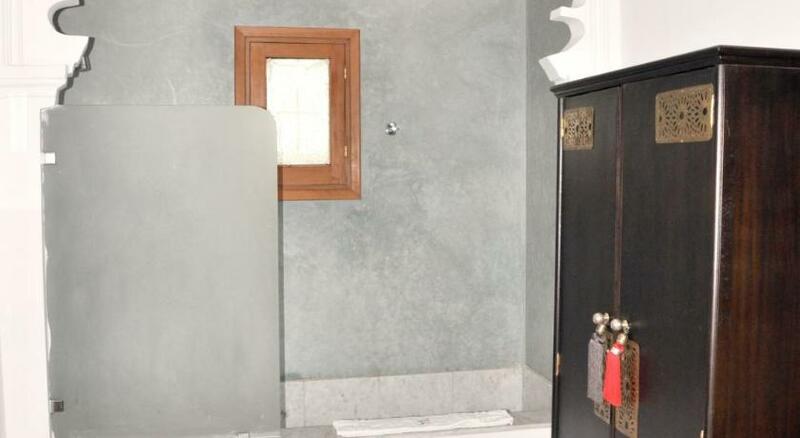 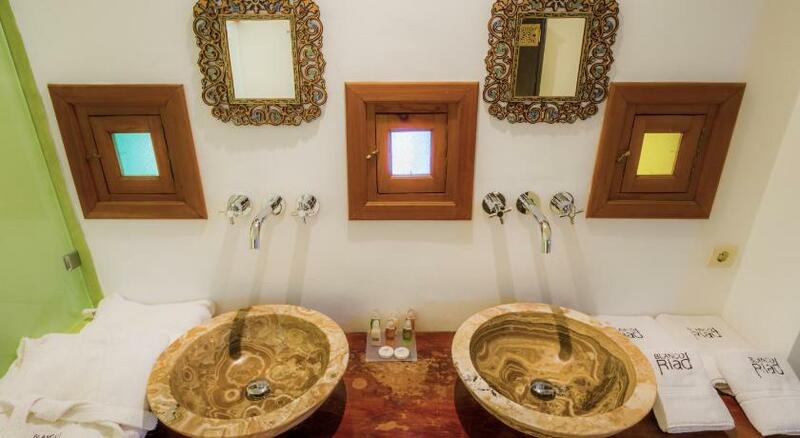 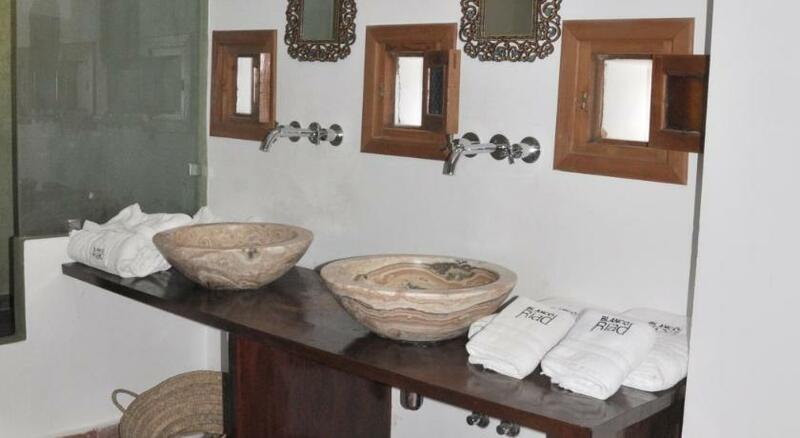 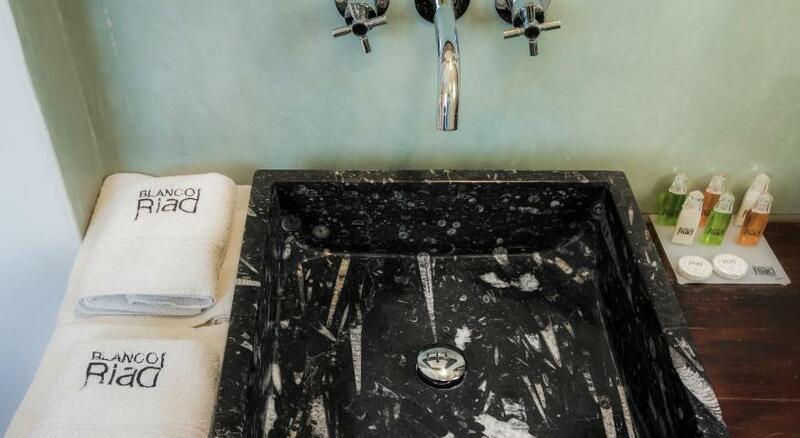 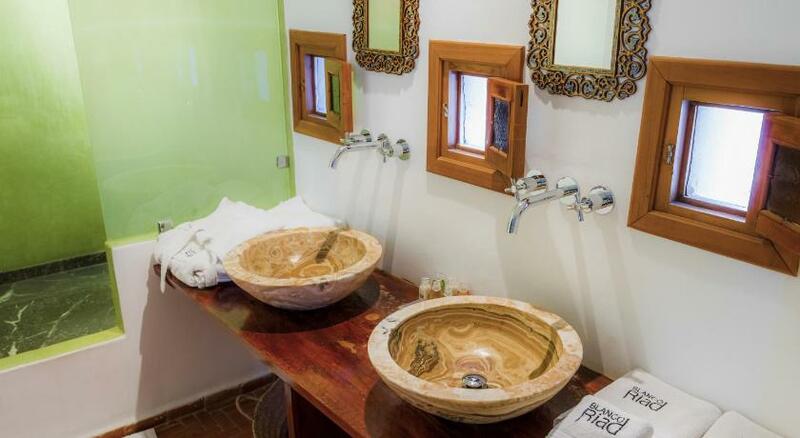 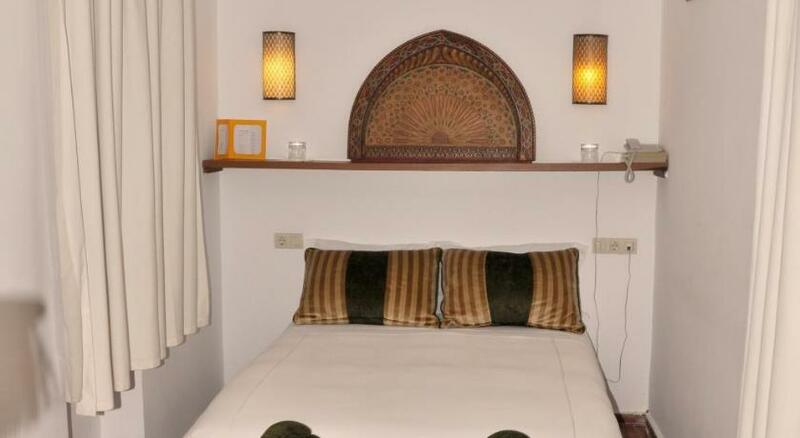 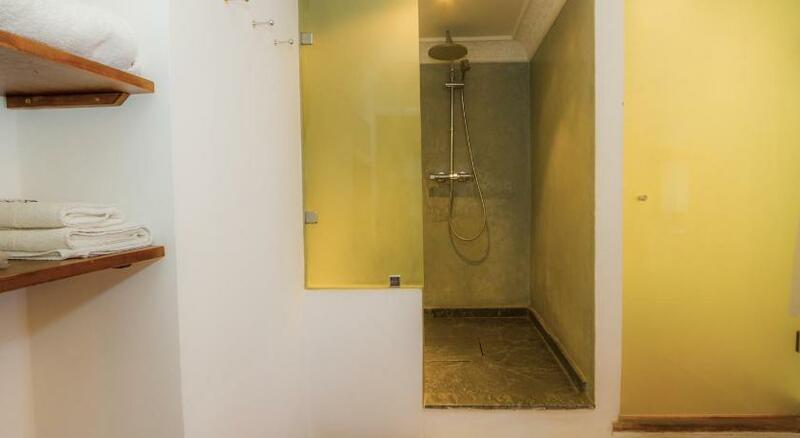 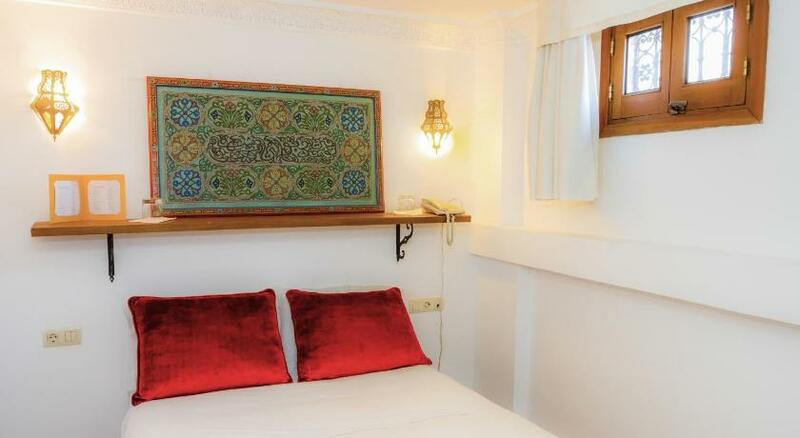 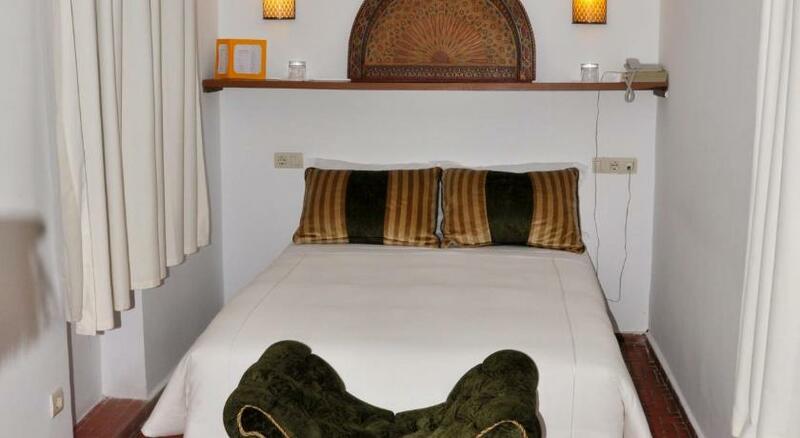 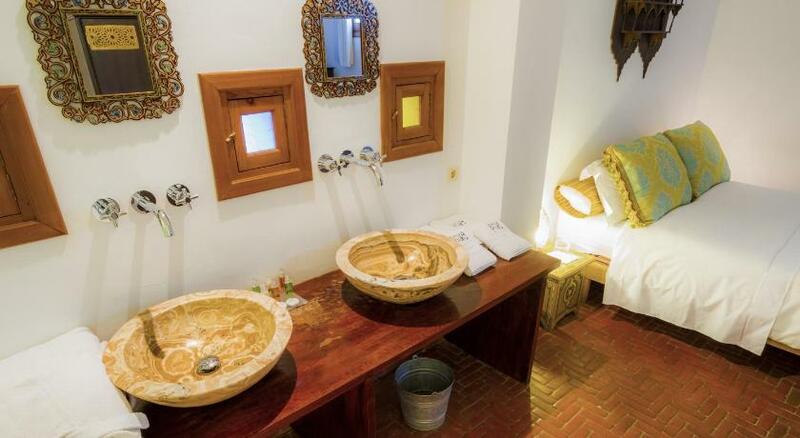 The eight quiet, cosy and bright rooms have their own bath or hammam and small areas for relaxation. 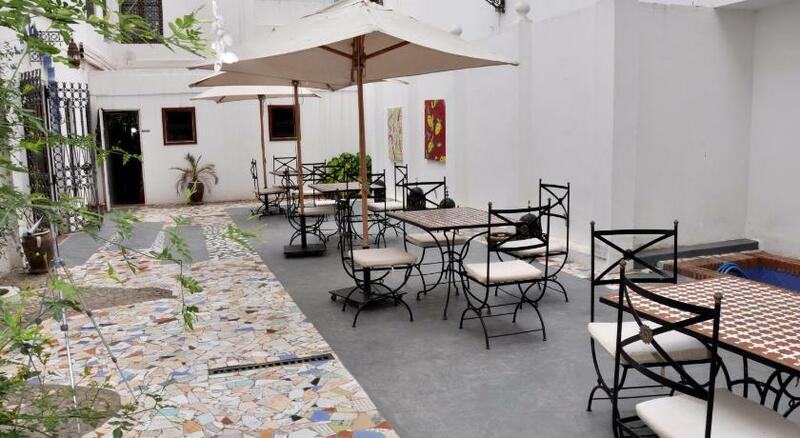 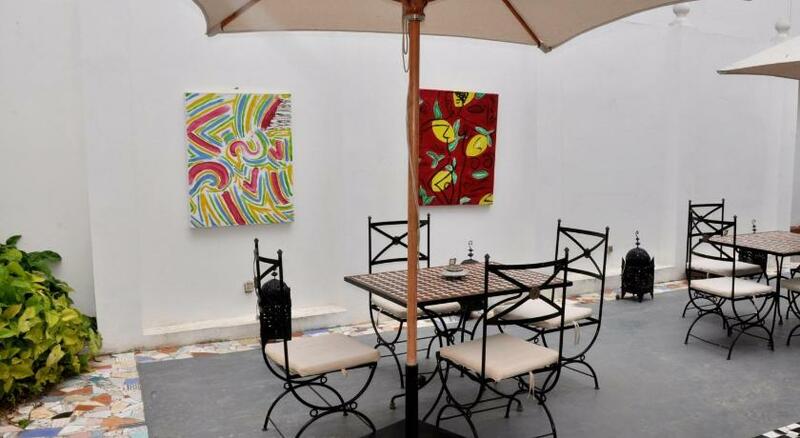 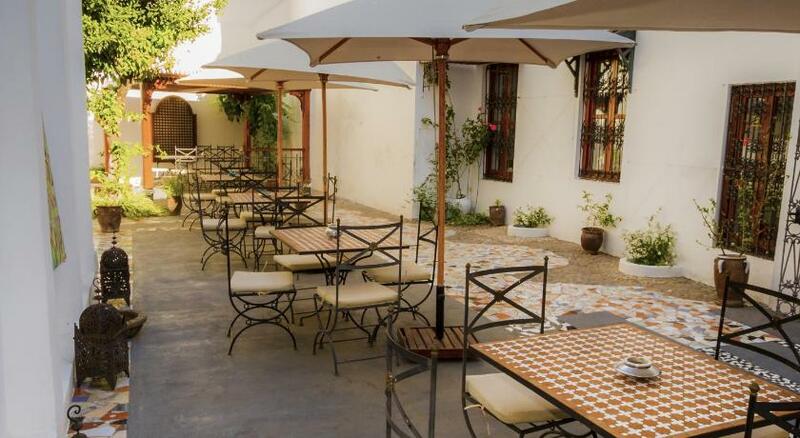 The restaurant can take between 40 and 60 people in the dining room and the garden. 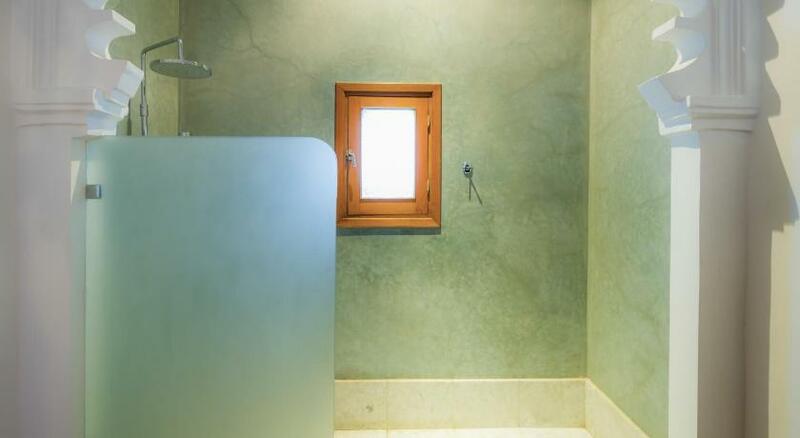 The interior is bathed in natural light. 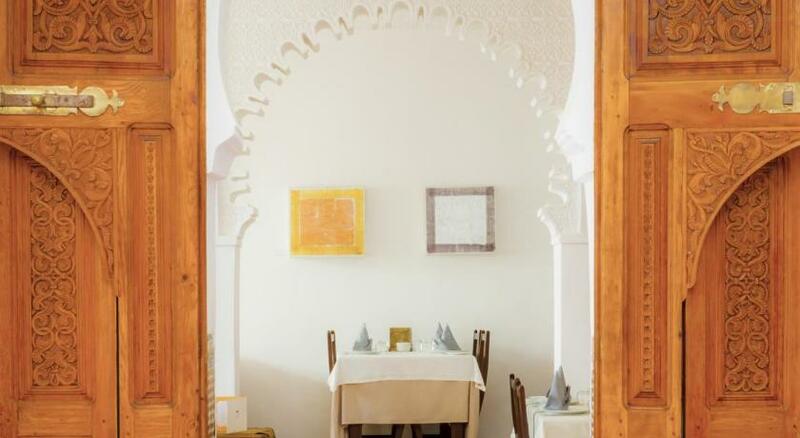 A special and intimate place that offers a modern Moroccan cuisine prepared with the advice of the Hofmann catering school (one Michelin star). 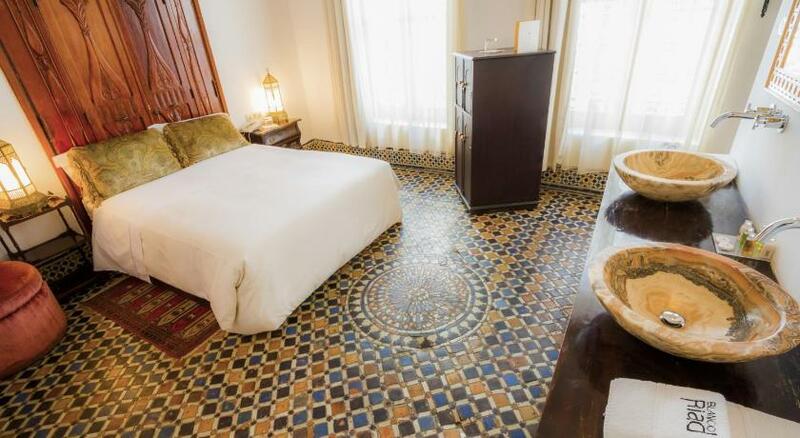 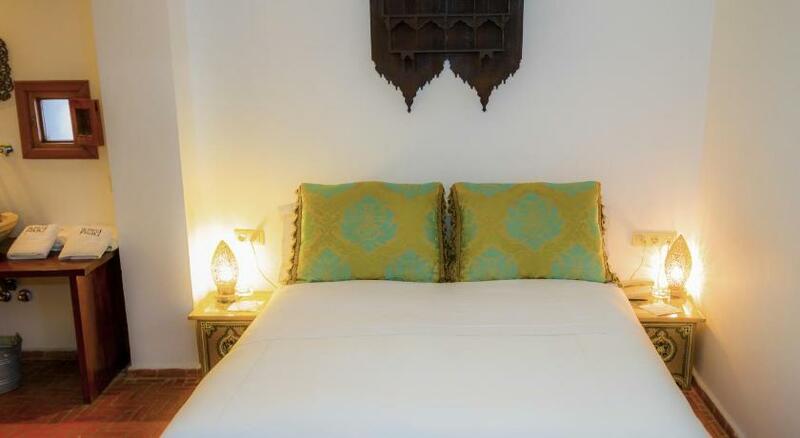 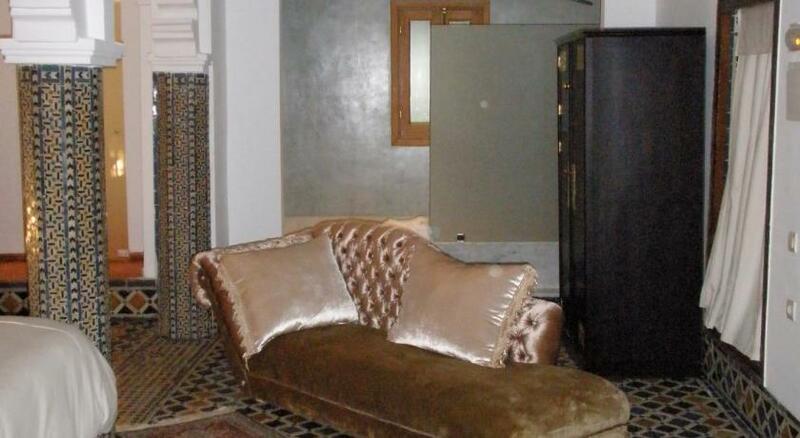 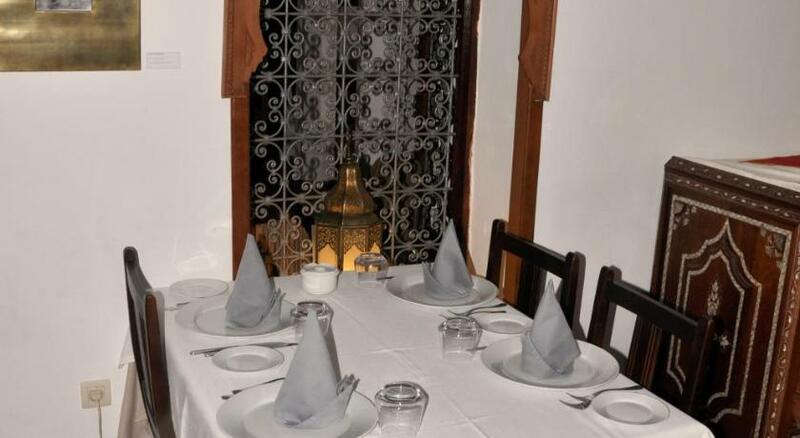 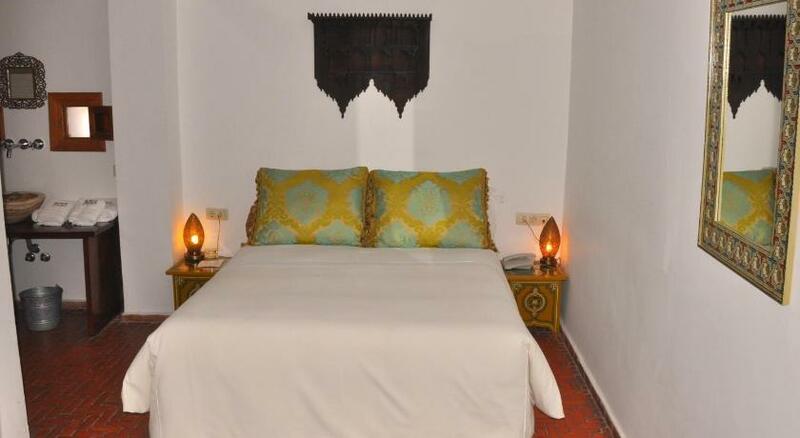 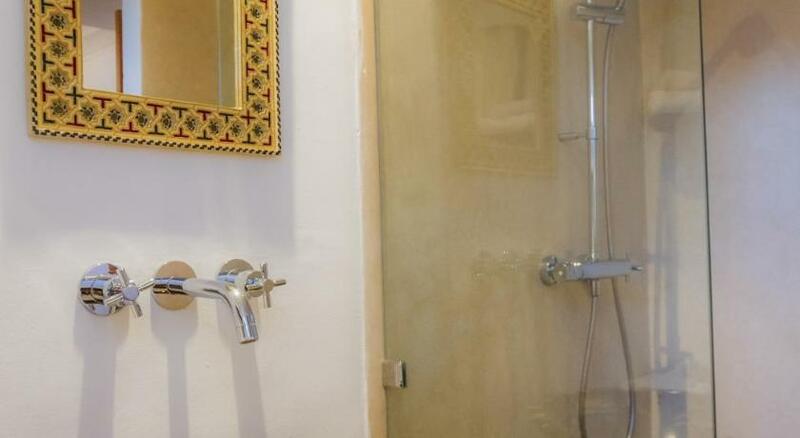 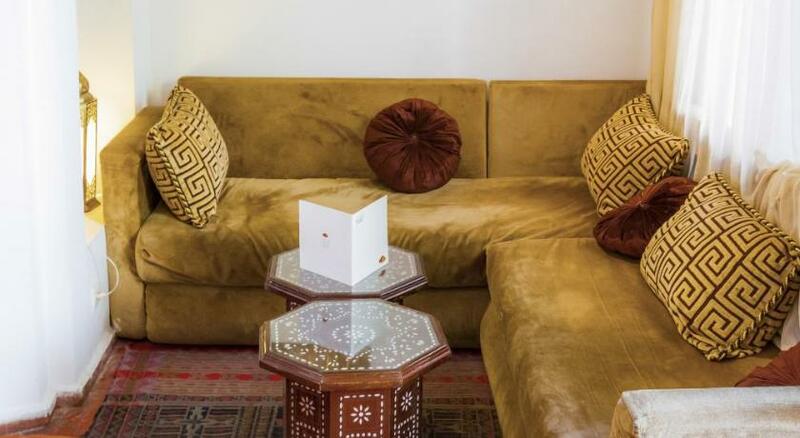 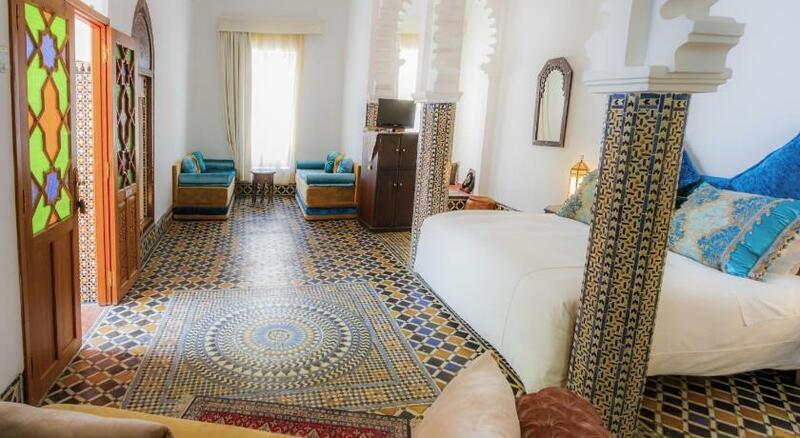 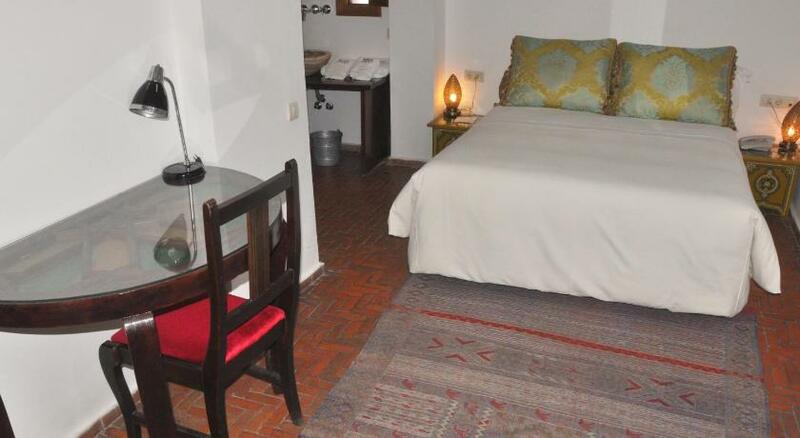 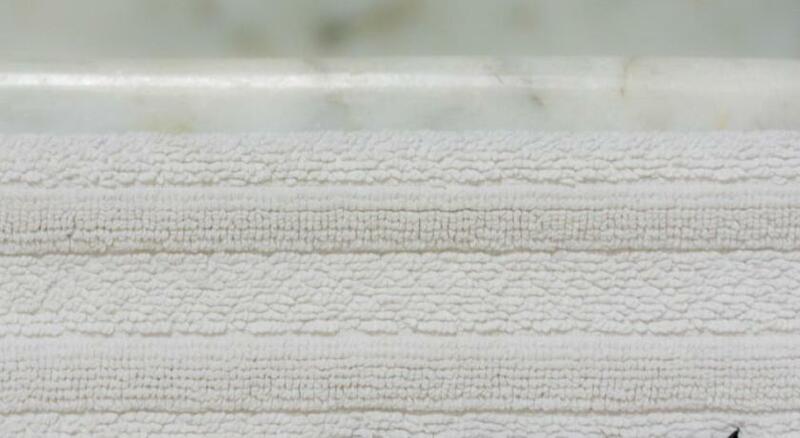 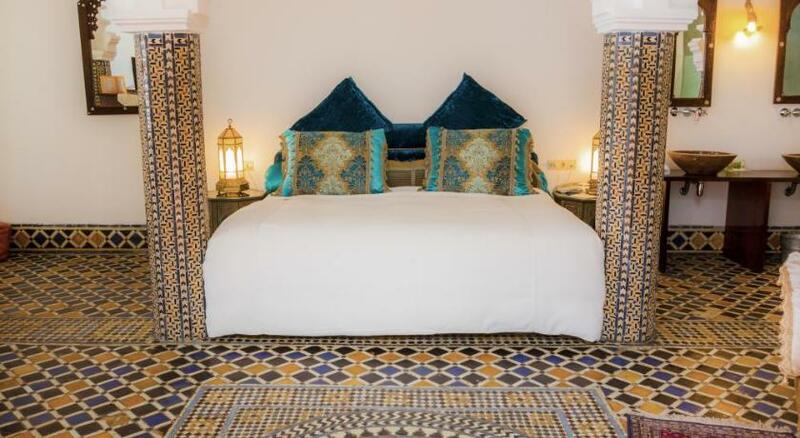 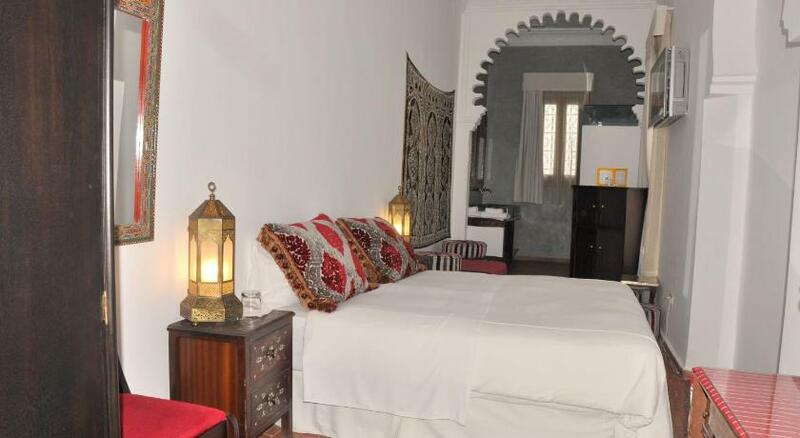 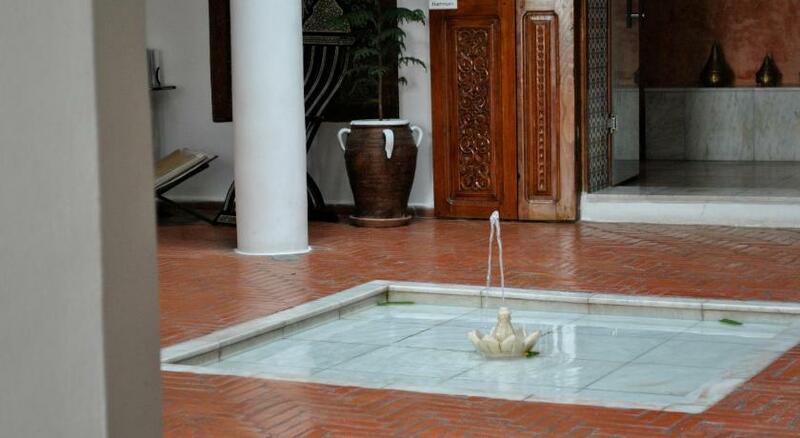 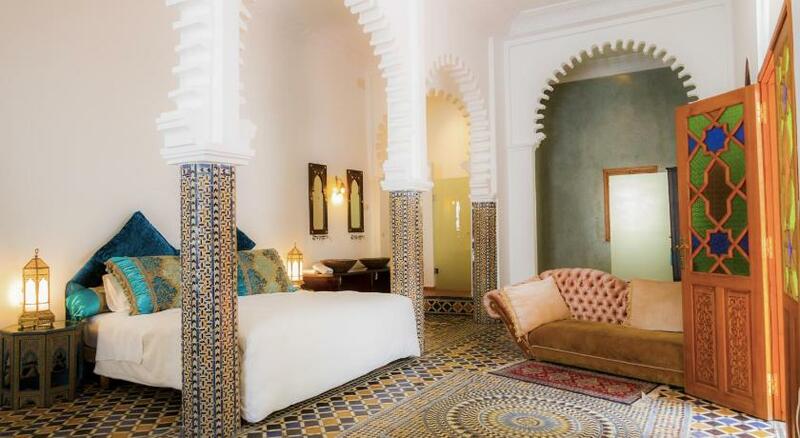 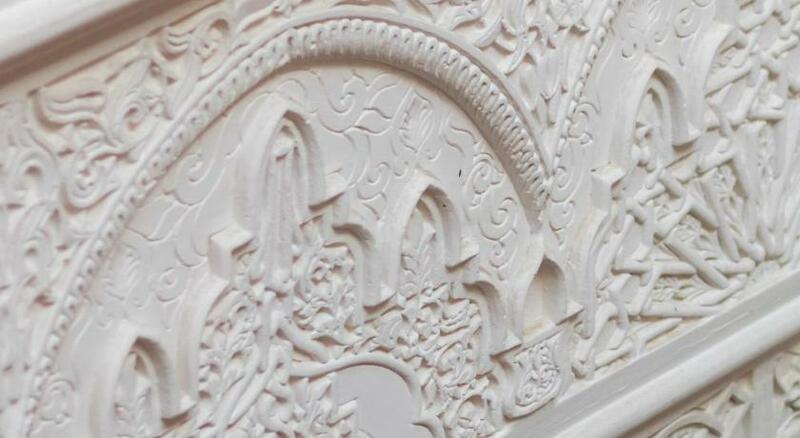 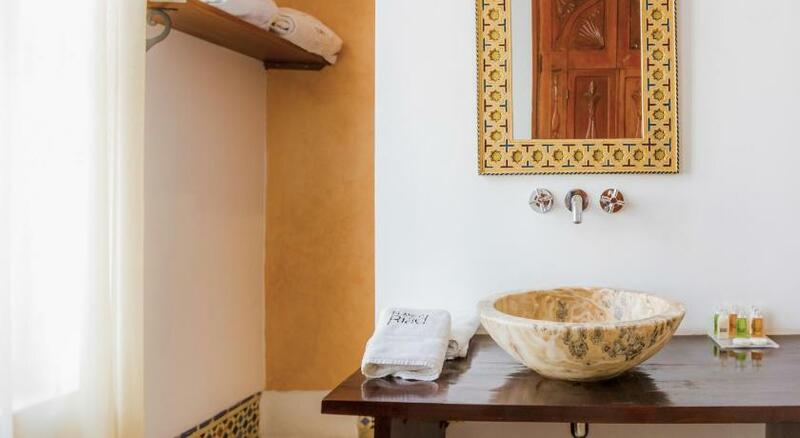 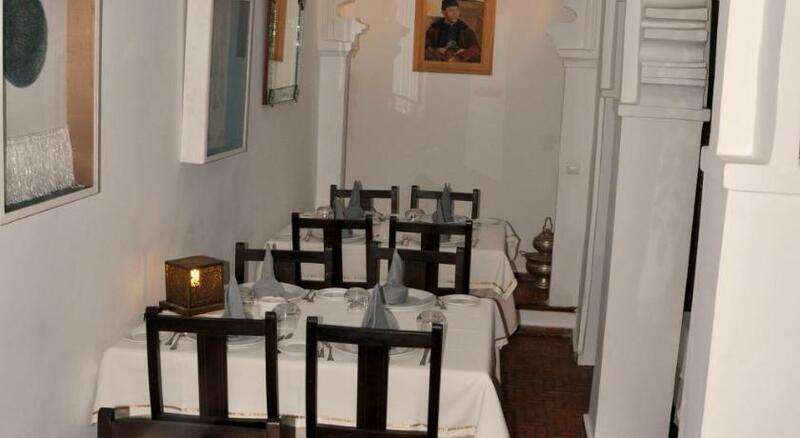 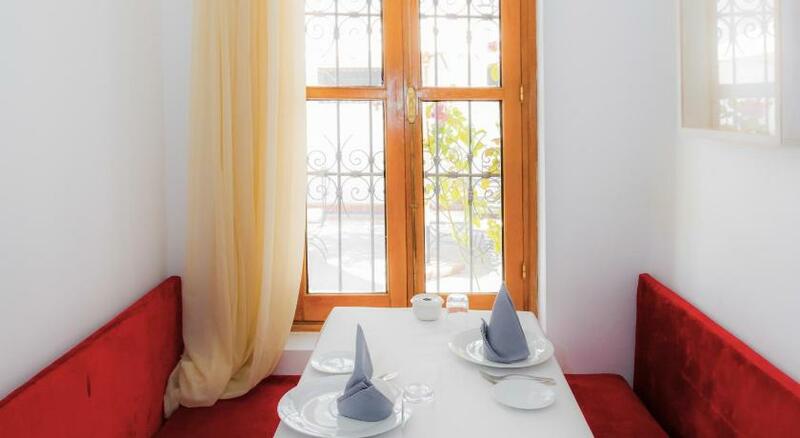 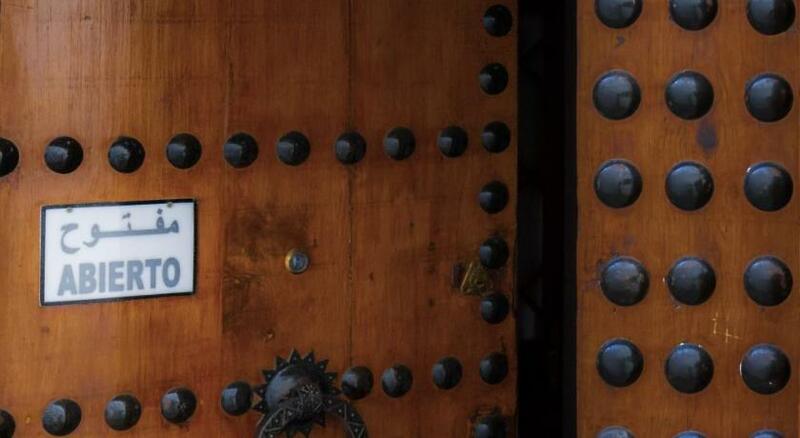 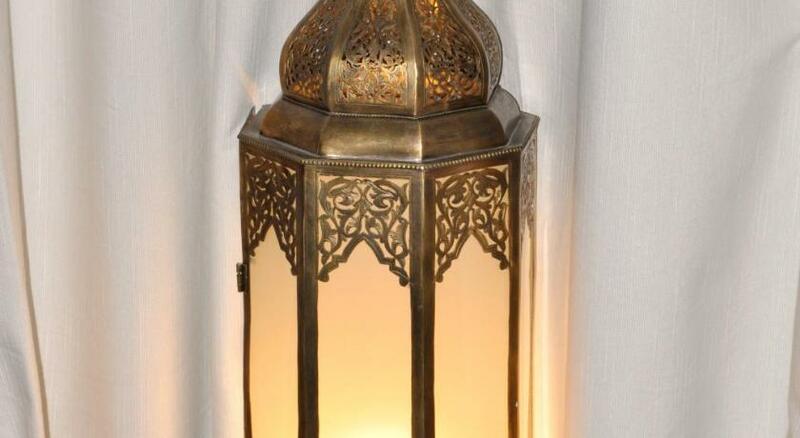 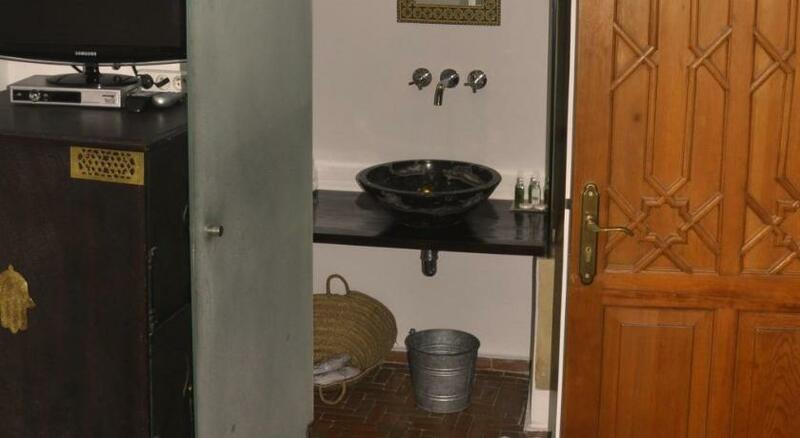 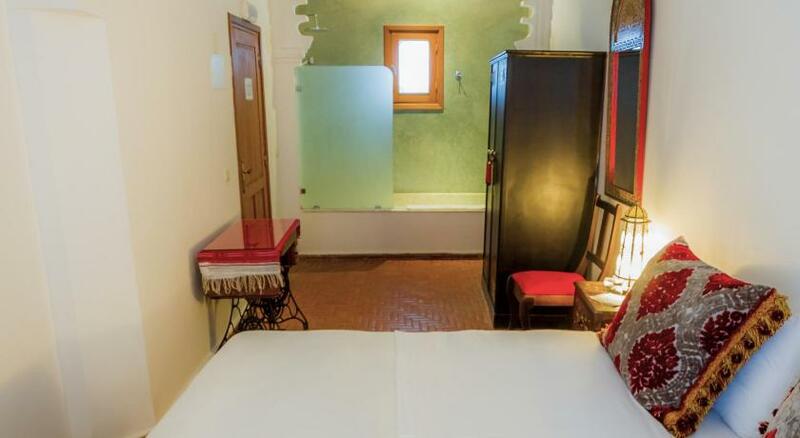 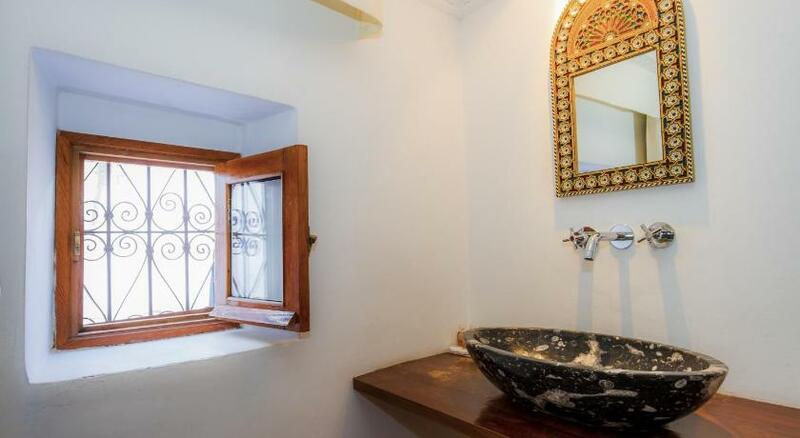 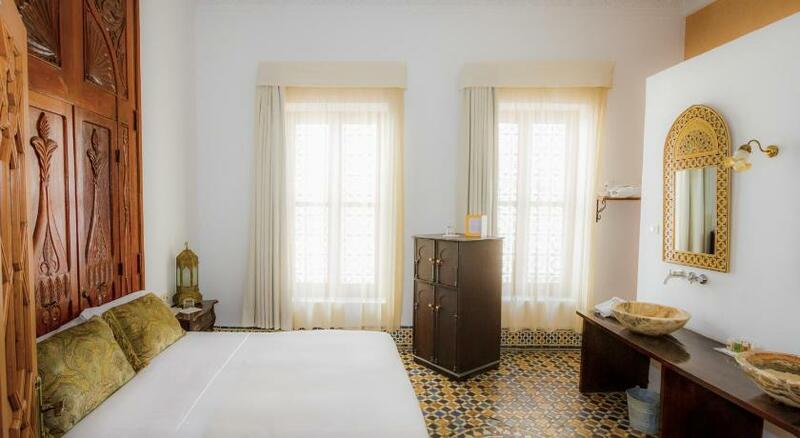 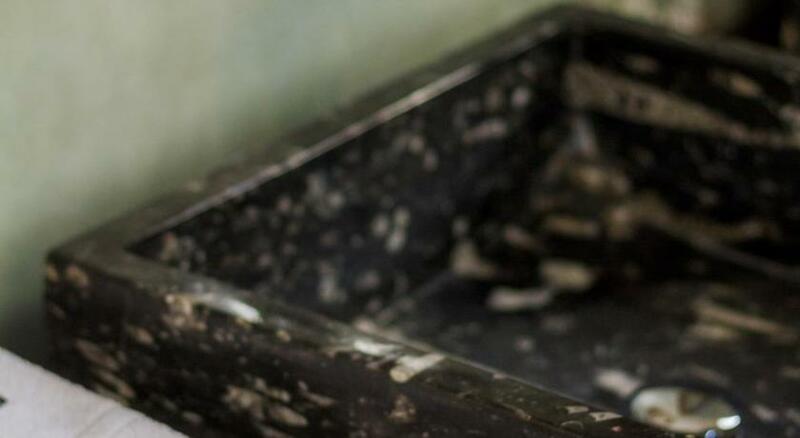 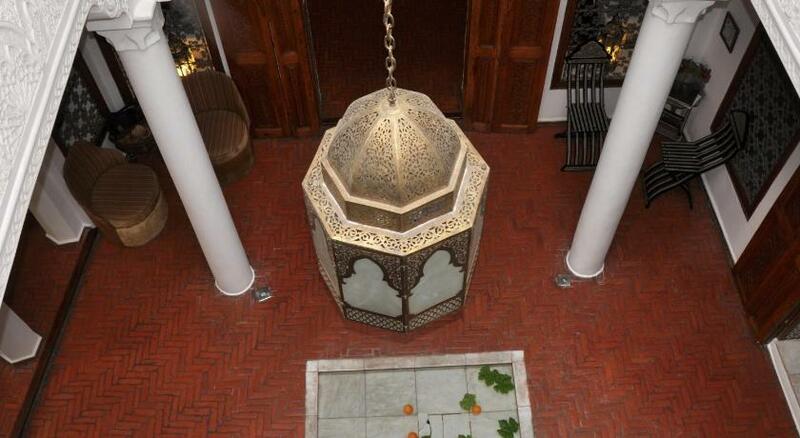 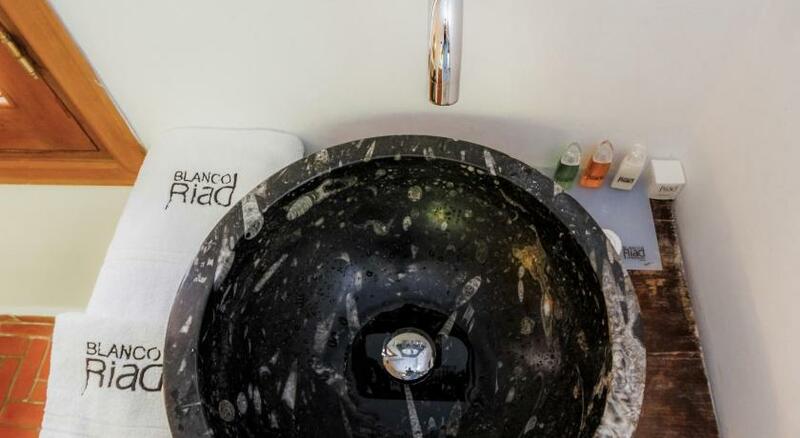 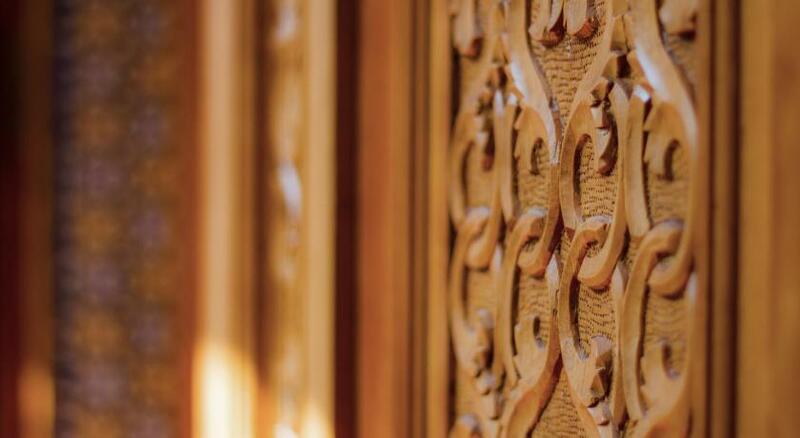 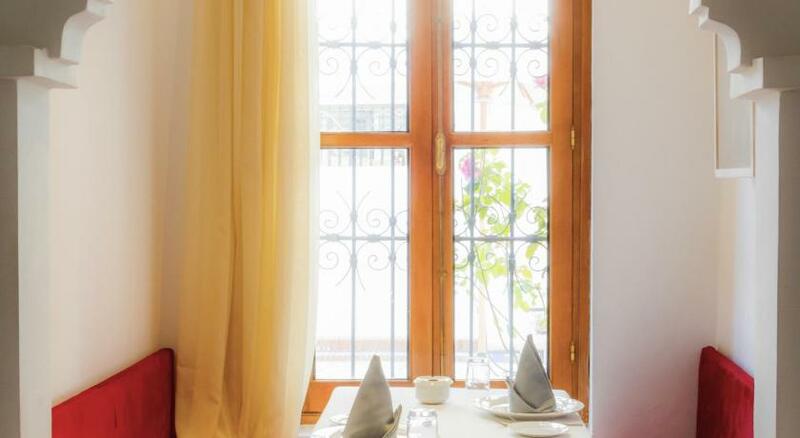 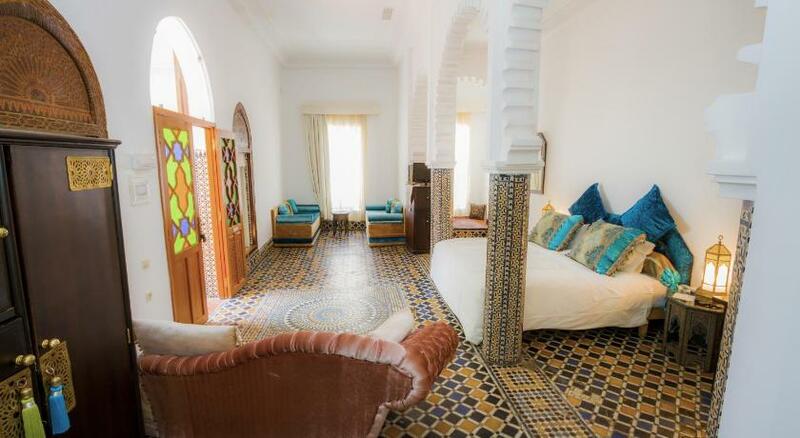 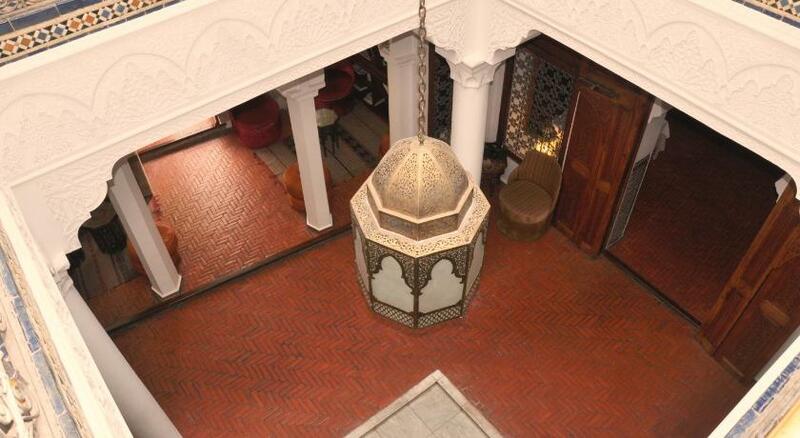 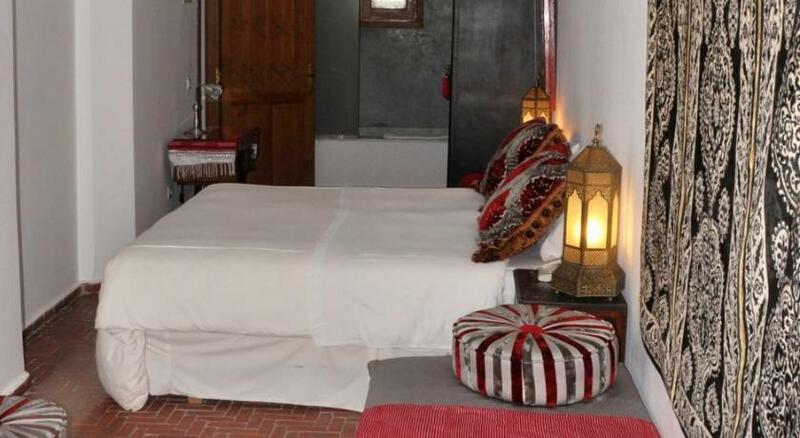 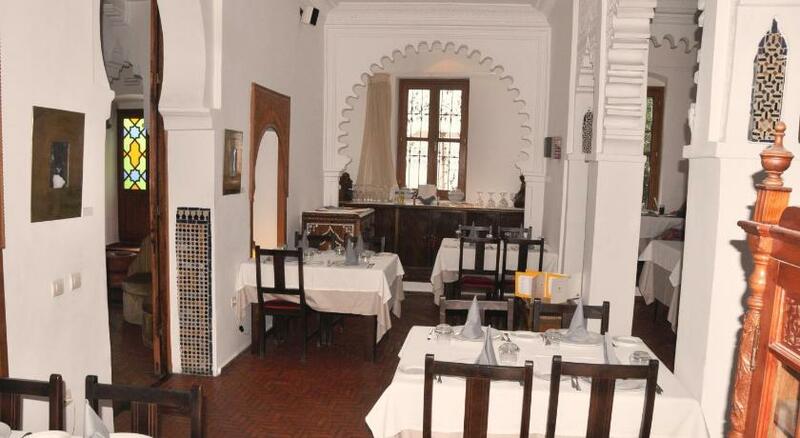 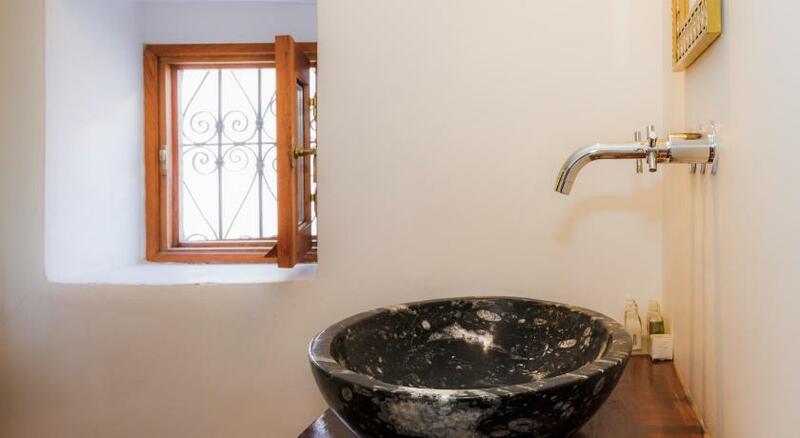 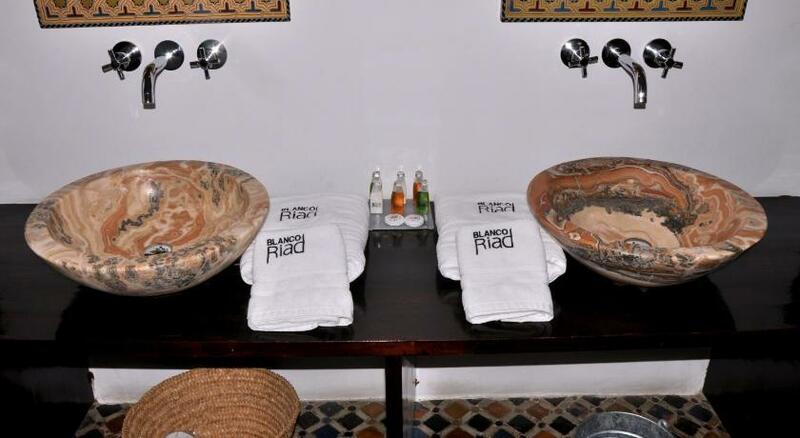 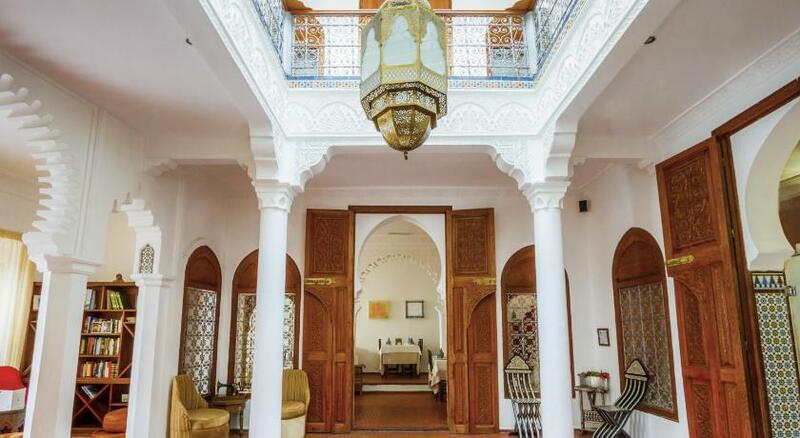 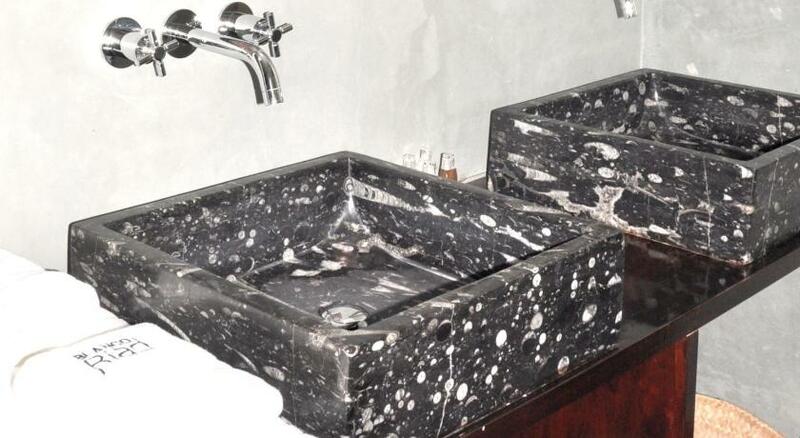 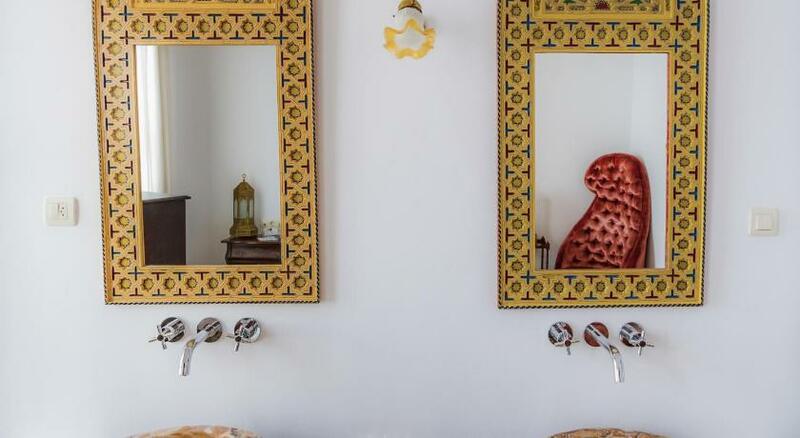 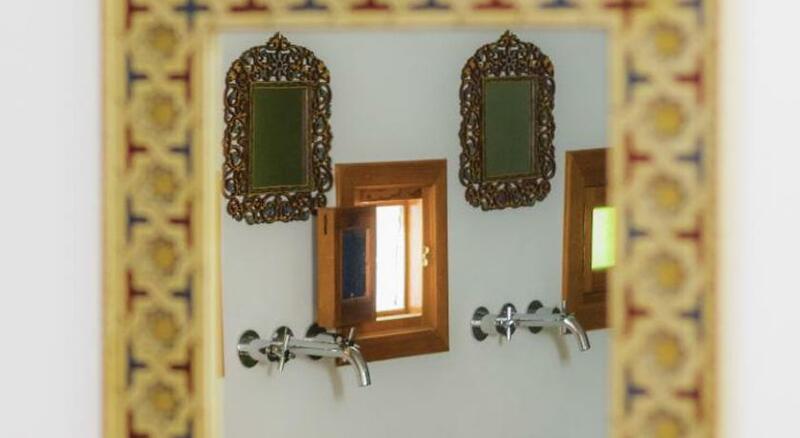 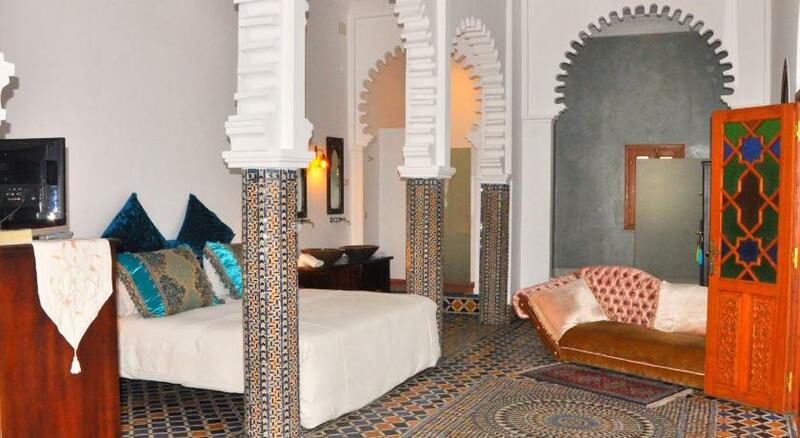 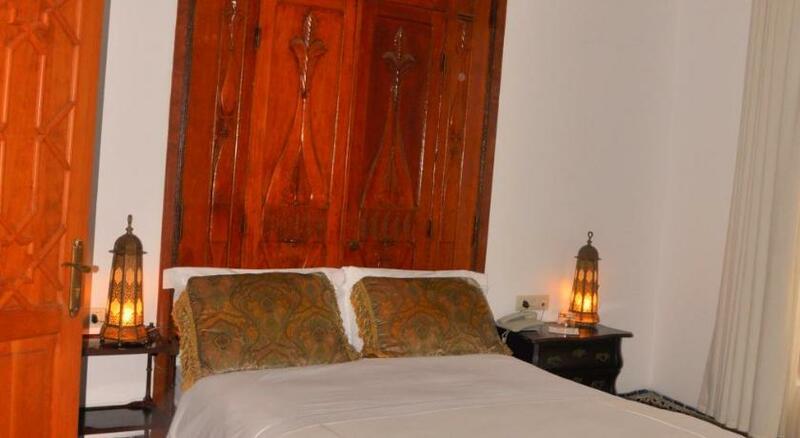 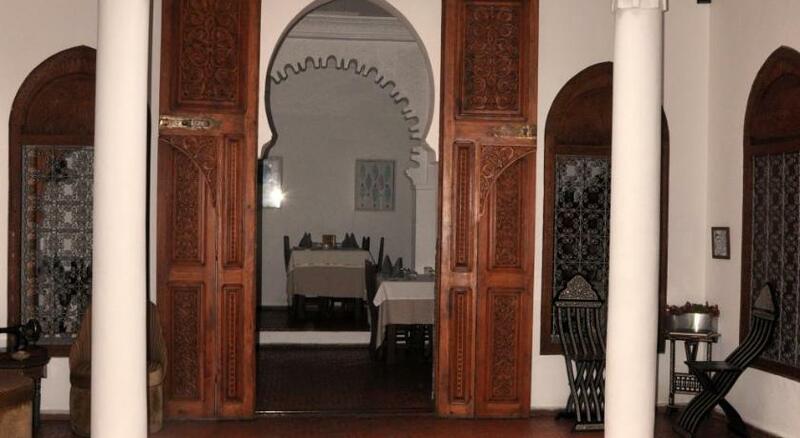 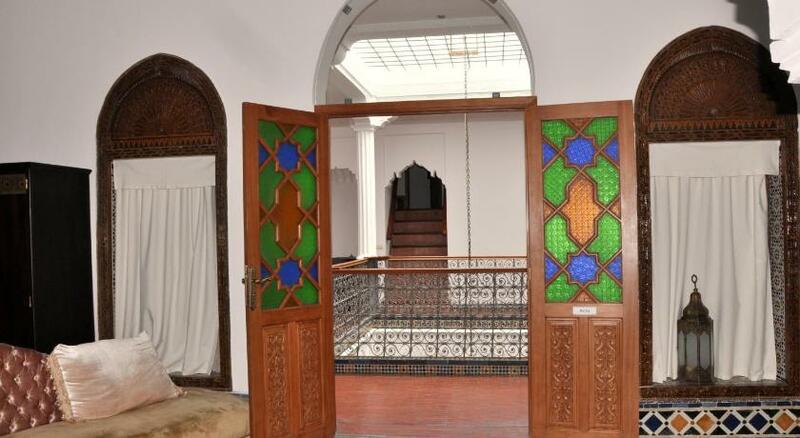 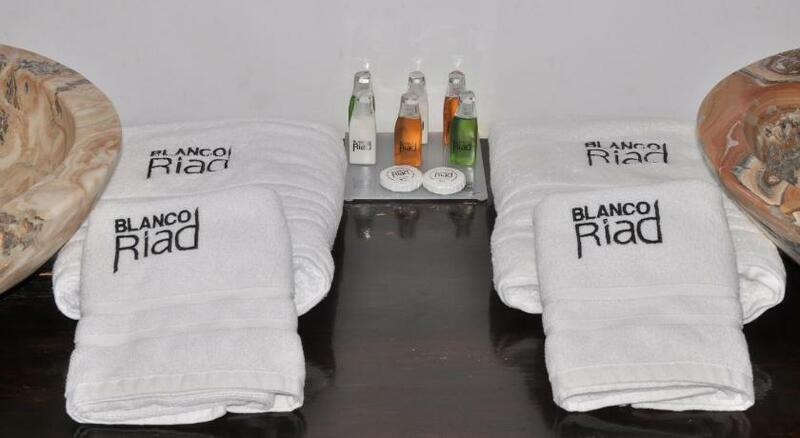 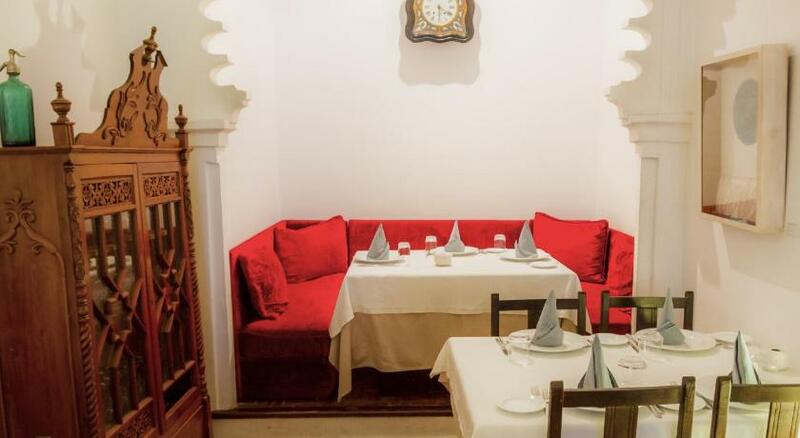 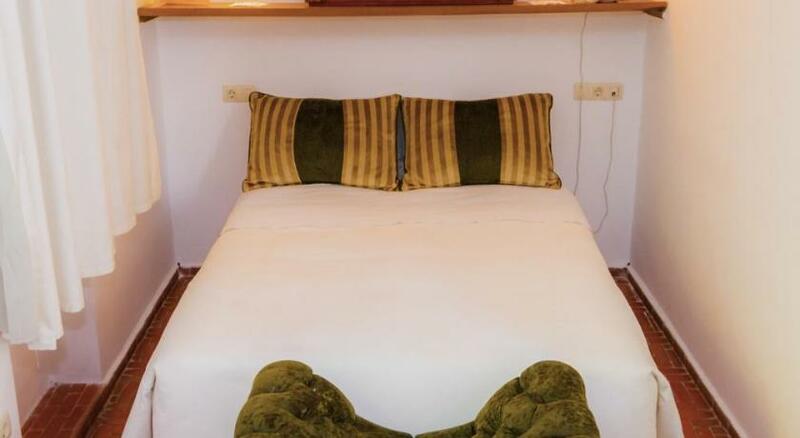 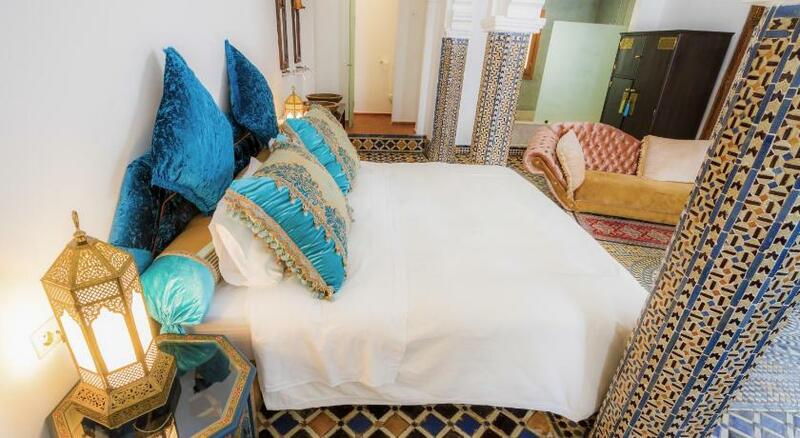 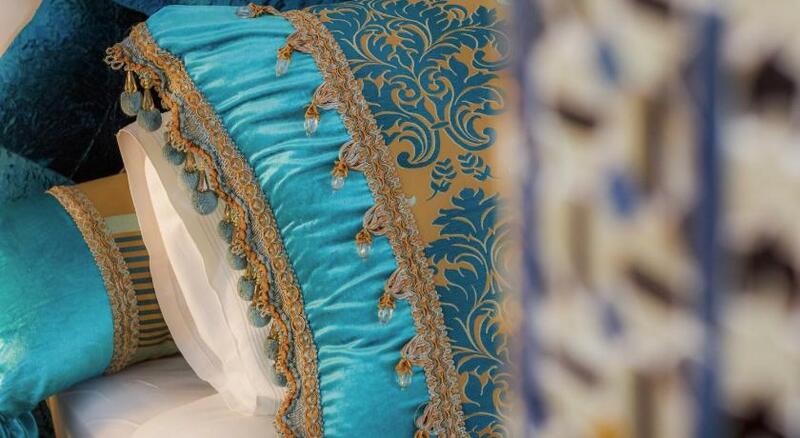 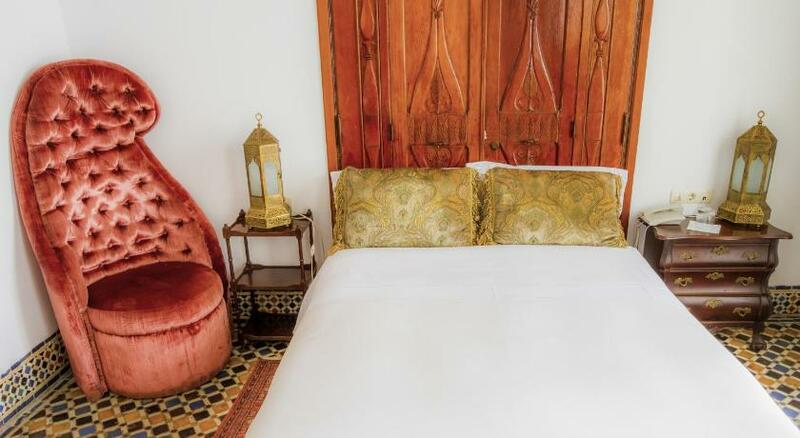 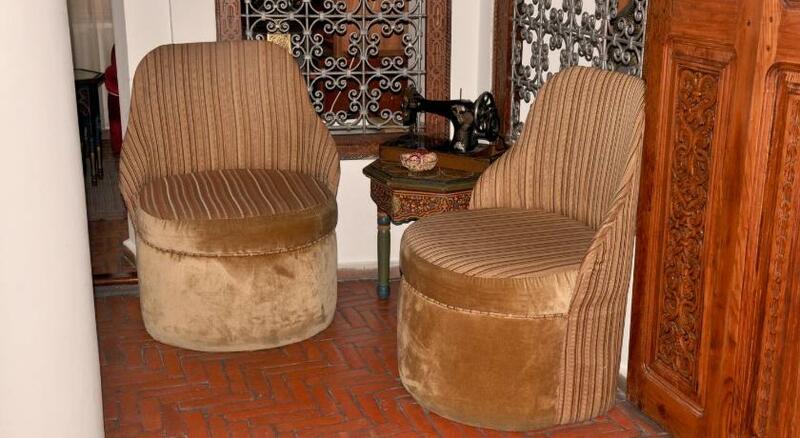 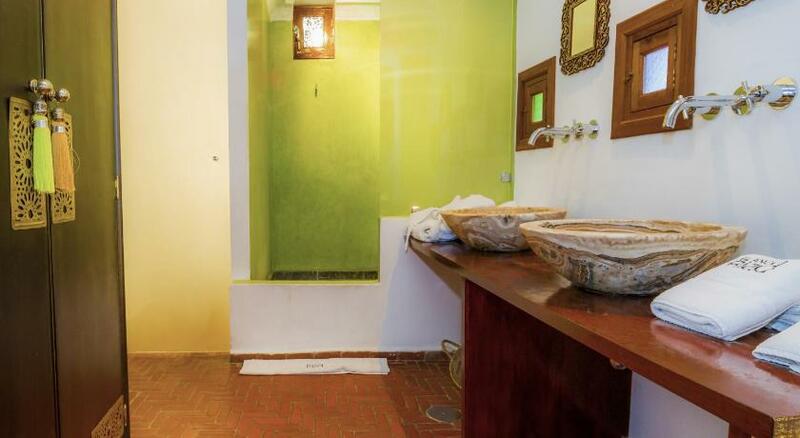 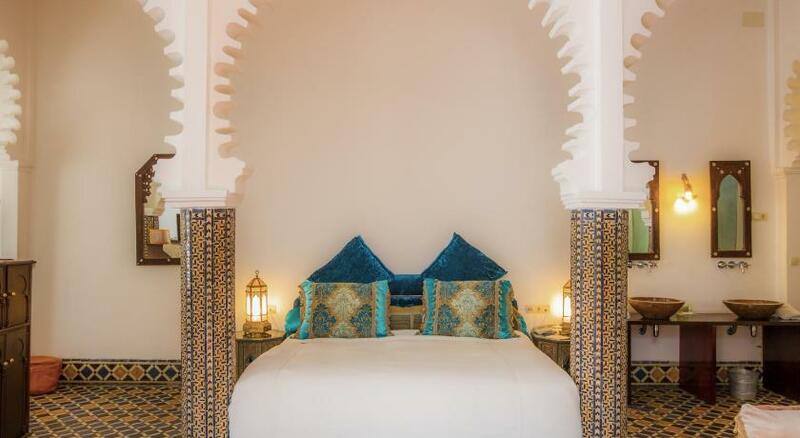 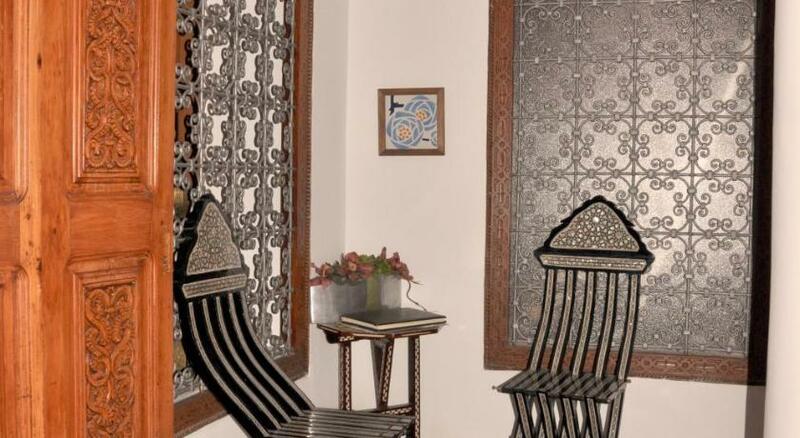 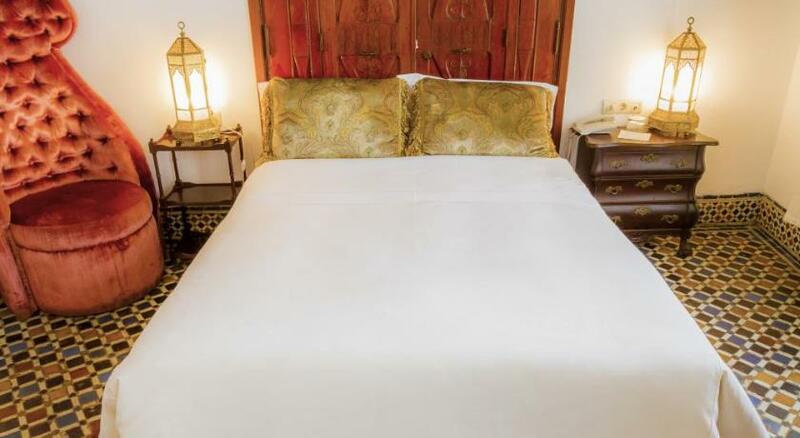 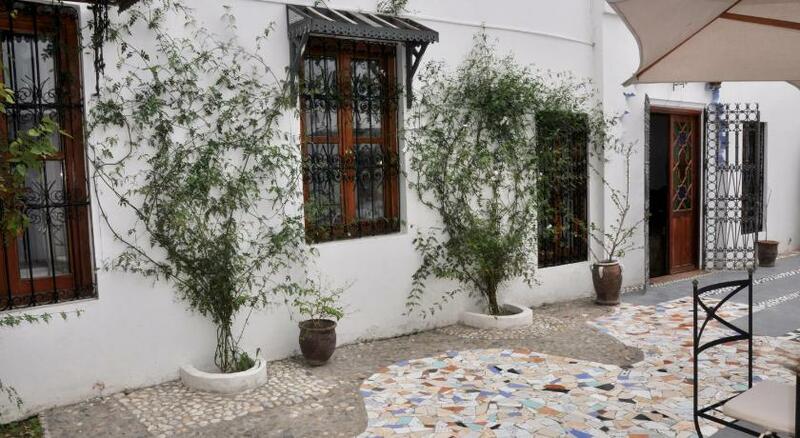 The Hotel Blanco Riad is situated in the Medina of Tetouan, declared a "Heritage of Humanity” site by UNESCO, a jewel of Muslim culture, with winding streets, beautiful squares, city walls and narrow alleys hidden behind the majestic Gates of the riad. 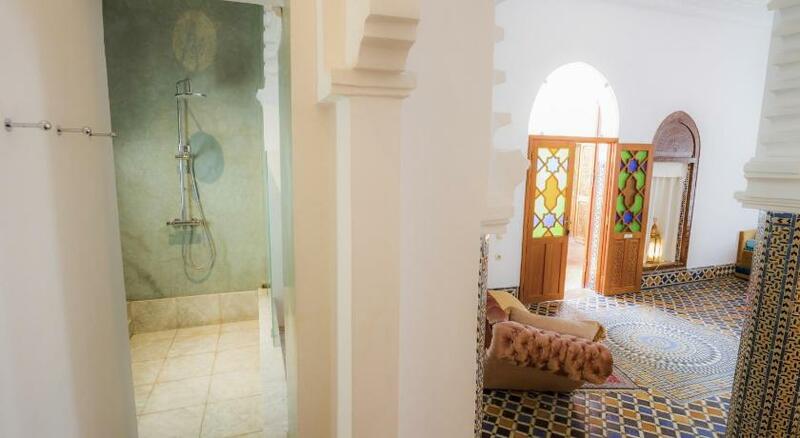 It is located just one hour from Tangier and half an hour from Ceuta, and 15 minutes from the beach, golf course and the Marina.